Abu Dhabi, the capital of the Emirates, is located on its own island about 250 metres from the mainland, connected by 3 bridges. 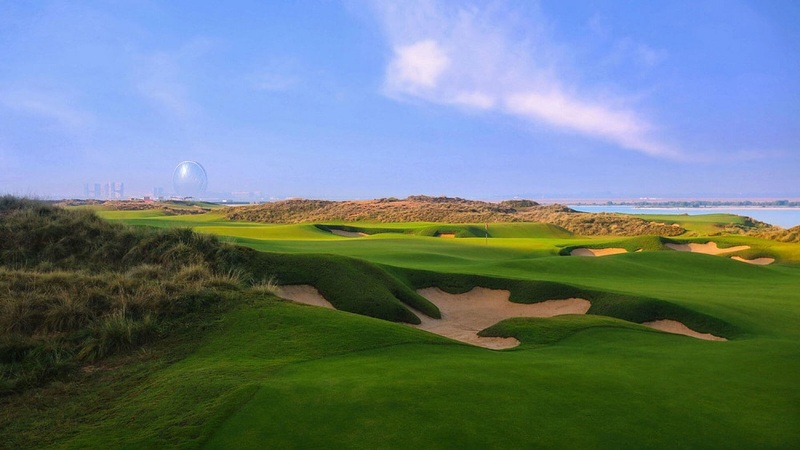 The name Abu Dhabi literally translates as 'Father of the Gazelle'. Dhabi means deer and it is thought that there were both deer and gazelle roaming in the area. Similar to their neighbours Dubai, Abu Dhabi worked in the pearl business but suffered the same fate when the depression hit in the 1930's. It was after this that interest started to grow in the possibility of finding oil. Exploration started in the late 1930's with oil finally being struck in 1958. Its location in the Persian Gulf made it a key player in the trade route between Britain and India. As such, Britain had a vested interest in protecting the area from the threat of pirates. Not surprisingly, Britain's interest and influence in the area remained once oil was discovered. Today Abu Dhabi is the wealthiest Emirate holding 9% of the worlds proven oil reserves and 5% of the worlds natural gas. 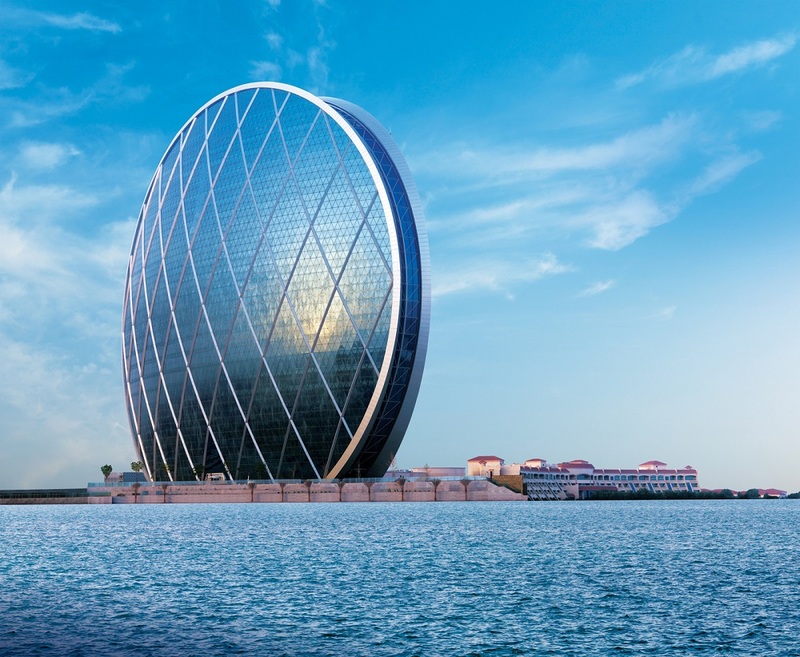 There are now plans to use some of this wealth for tourism with the view to making Abu Dhabi less reliant on one source of revenue. If you travel to Abu Dhabi you will find it less overwhelming than Dubai. But with investment increasing, there are new projects being developed all the time. The skyline will no doubt be a constantly changing feature. Built by the Bani Yas tribes this 18th century coral and sea stone watch tower is the oldest building in Abu Dhabi. During the 19th Century the fort was improved and expanded, turning it into a palace and home of the ruling family. The late Sheikh Zayed bin Sultan Al Nahyan, the founder and first president of the UAE took the decision to renovate the building, and transform it from a residence into a museum and exhibition centre. 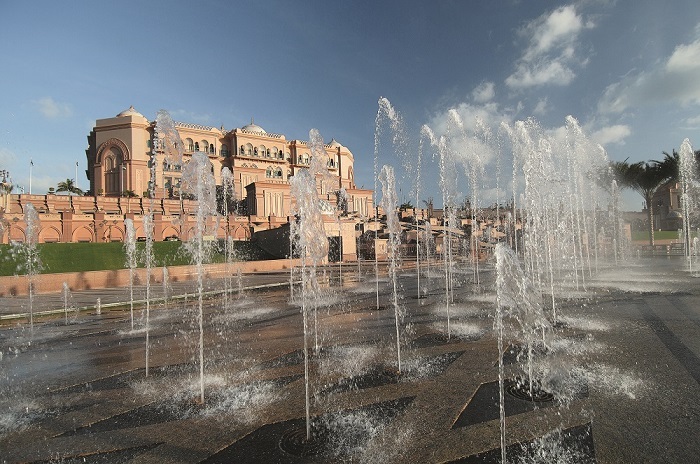 Built in 2006 at a staggering cost of $6 billion the Emirates Palace is probably the country's most recognisable hotel. Don't worry if you are not a guest, it is free to have a look around. The central dome is stunning and check out the gold vending machine. 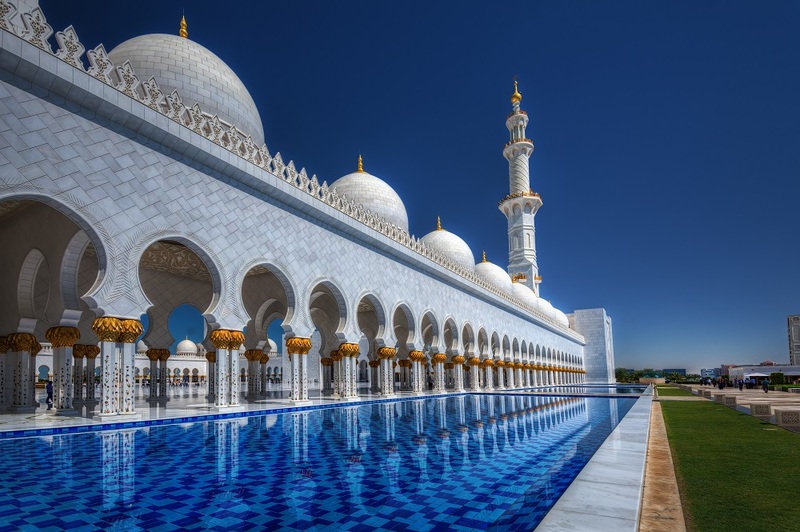 Completed in 2008 the Sheikh Zayed Grand Mosque is one of Abu Dhabi's most dynamic landmarks. The white marble domes dominate the skyline and inside there is an array of mosaics and intricate artwork. Look up and you will see an array of chandeliers, the largest of which weighing in at an incredible 12 tonnes. The mosque is also home to the largest hand knotted carpet. 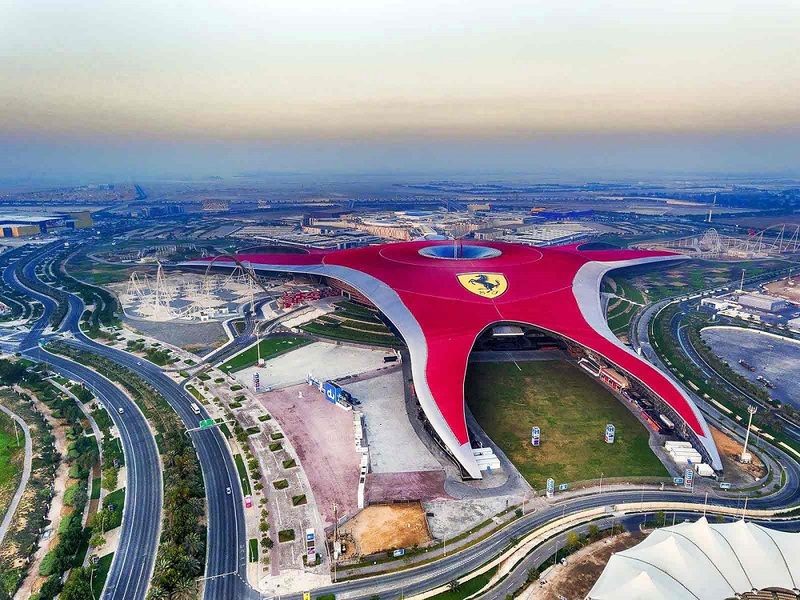 Located on Yas Island this amusement park, aimed at children and families, has been open to the public since November 2010. It is home to the world's fastest roller coaster. No visit to the UAE would be complete without venturing into the desert. There are a range of excursions available, from day trips to sand dunes, camel riding and dune bashing. For those with more time, why not spend the night under the stars at a desert camp. For those interested in seeing what life was like in Abu Dhabi before oil, then a visit to the Heritage Village may be of interest. The village has been reconstructed to show what traditional Gulf life was like. The village includes a fort, souq and mosque. You can also see traditional craftsmen at work. End your trip with a visit to the museum where you can see artefacts from the pearl diving industry - Abu Dhabi's main trade before the discovery of oil. Presidential Palace, home to the UAE Supreme Council and Federal Cabinet that is now open to visitors. 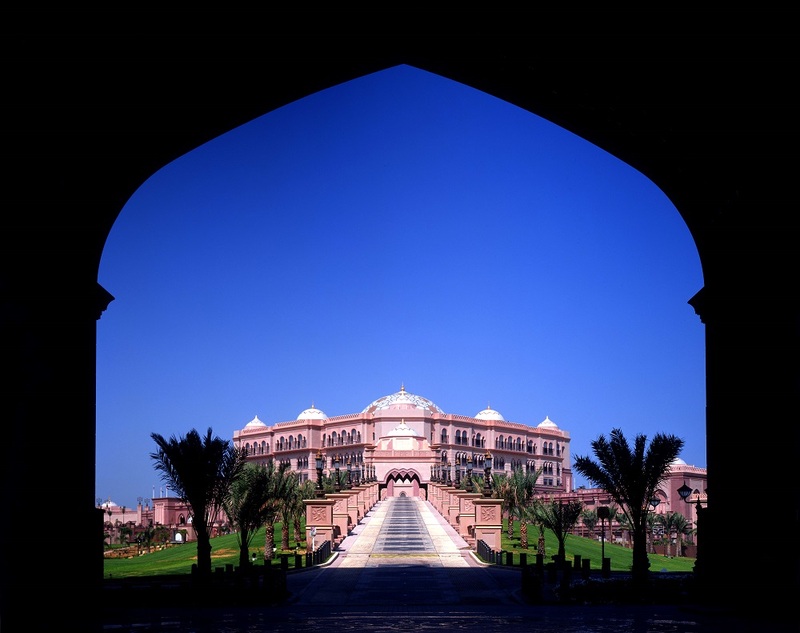 The Palace is built in the Arabian style and showcases high levels of artistry and craftsmanship that are a tribute to the regions Arabian Heritage. Each door within the Palace, made of solid Maple and hand carved with 23 carat gold, took 350 hours to make. The Great Hall, 100 metres long and 100 metres wide also includes one of the largest domes in the world, measuring 37 metres in diameter. Other points of interest include The House of Knowledge which houses a selection of rare artefacts and manuscripts and a room that showcases a collection of diplomatic gifts given to the UAE by foreign dignitaries. The Palace also has a selection of dining venues and gift shops. Dress Code - Your dress and appearance must be suitable for Qasr Al Watan and in keeping with the culture and values of the United Arab Emirates. November to March - This is winter in Abu Dhabi and the most popular time to travel as temperatures are moderate and manageable. Daytime temperatures range from around 23 or 24 degrees climbing to around 27 or 28 degrees. April and May - Spring time and temperatures are starting to rise, climbing to around 30 or 31 degrees. June to August - Summer time and the hottest months of the year. Temperatures often exceed 40 degrees to care should be taken if you are planning to visit during this period. 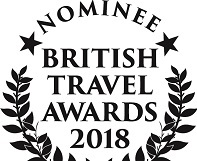 High temperatures can mean lower hotel costs, so if you can bear the heat this is the time you may be able to get a bargain. September and October - Autumn and temperatures start to fall again making it more bearable. There may still be some bargains to be had before prices start to rise in preparation for the winter (high) season. Etihad Airways is Abu Dhabi's national airline and is the second largest airline in the UAE (after Emirates). Etihad offers a regular service from London Heathrow, Manchester, Edinburgh and Dublin with a flight time of around 7 to 71/2 hours. Similar to Dubai, Abu Dhabi's geographical location makes it a popular transit hub for a host of other major airlines, and particularly those serving Asia and the Far East. 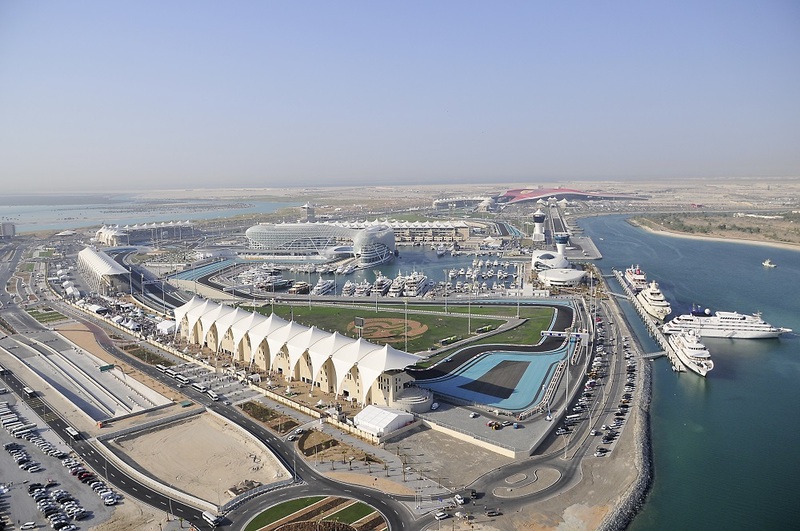 There are a number of things that you should be aware of when travelling to Abu Dhabi. We hope the following information will be helpful but it is to be used as a guide only. As previously mentioned, Abu Dhabi's geographical location allows the traveller a wide range of opportunities to twin a stay here with many other destinations. The Indian Ocean is easily accessible with good services to the Maldives and Seychelles. Access to the other Emirates is also seamless with Dubai being only a 40 minute drive. Please come and talk to us about the many options available.